Plural is a modern seating program, designed for a multi-functional and changing world. Its lightweight features and minimalist style hide its own force, which is necessary in public spaces. Plural is a seating program designed for the people and their work, rest and leisure activities. The versatility of its components enables multiple combinations. The shells and the tops are in fire-resistant polypropylene reinforced with fibreglass, the frame is in die-casted aluminum. 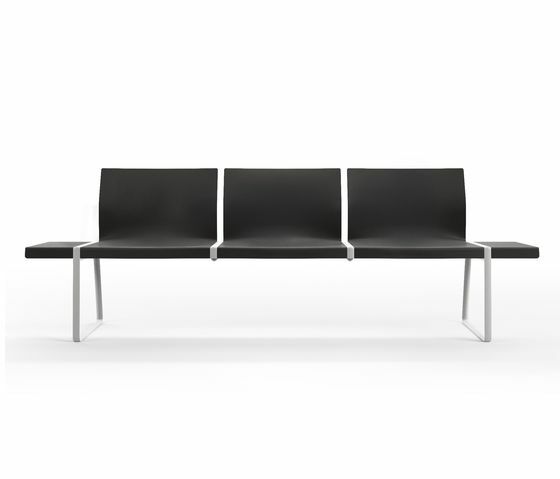 It’s available with two, three or four seats both with and without armrests. Plural is suitable for all types of public and private spaces: universities, hospitals, airports, offices and all sorts of waiting rooms. Pedrali and Jorge Pensi Design Studio have created the Plural program, the aim of which is to help solving, in an elegant and pleasant manner, those moments when a new happening is awaited.